The concept of “Centre d’Investigations Cliniques en Biothérapies” was promoted in the mid-2000’s by the French Ministry of Health, several research institutions, hospital consortiums and French charities through a nationwide initiative designed to foster the development of innovative cellular therapies, gene therapies and vaccines, with broad applications in many fields of health and biology. Since many of these innovative medicinal products are manufactured through cell and tissue engineering, their development raises a unique set of biological, technological, logistical and societal issues that make them significantly different from medicinal products that are manufactured through chemical synthesis or even through engineering of complex molecules such as monoclonal antibodies. However cell- and tissue-based therapies and gene therapies hold great promise in the field of both immunotherapy and regenerative medicine. 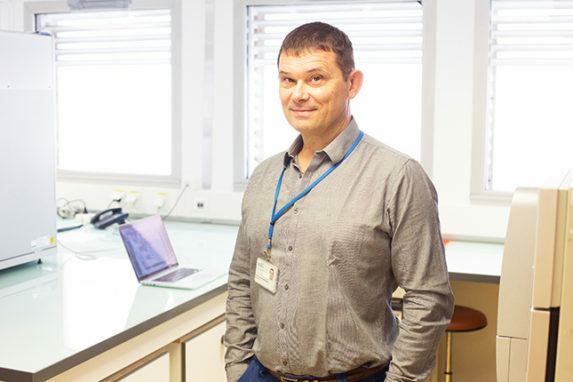 Originally independently established, the “Centre d’Investigations Cliniques en Biothérapies” have recently been administratively merged with other components of the “Centre d’Investigations Cliniques” or CIC, to unify the community of clinical investigators in most major French metropolitan areas; this is the case in Marseille since 2013; however, the CBT-1409 pursues its specific activities while taking advantage of a larger and more visible clinical research infrastructure that is nowadays established at all major hospitals across the town. The “nucleus” of CBT-1409 associates professionals from the two cell therapy facilities, respectively located at IPC (“Centre de Thérapie Cellulaire”, CTC) and at AP-HM (“Laboratoire de Culture et de Thérapie Cellulaire”, LCTC, Hôpital de la Conception); the two facilities’ core expertise lies in cell engineering needed for hematopoietic stem cell transplantation and cellular therapies for the former, and in cell and tissue engineering needed for tissue repair for the latter, with a vested interest in fat-derived mesenchymal stem cells and vascular regeneration. CBT-1409 has been an important asset since its creation in 2005 to foster the development of shared technological and regulatory expertise between the two facilities and avoid duplication of efforts. This has lead to several early clinical trials being initiated in the field of haematology, oncology and chronic inflammatory diseases. Changes in the regulatory environment for cellular and gene therapies has drastically reshaped the landscape since “Centre d’Investigations Cliniques en Biothérapies” were created more than 10 years ago. Major pharma companies are nowadays massively investing in the development of innovative cellular and gene therapies as exemplified by the current excitement surrounding the introduction of “chimeric antigen receptor” or “CAR-T“ cells in the clinic. Not only do these treatment offer hope to patients who were otherwise fatally ill; they will also induce profound changes in the organization and access to care, with academic cell processing facilities being no longer in a monopolistic albeit scattered position to provide human cell engineering services. Nevertheless, those academic facilities that will upgrade their infrastructures and professional expertise will remain key players to develop and evaluate, together with biotech and pharma companies, new generations of cellular therapies. To remain at the forefront of this field, the CBT-1409 benefits from the excellence of the Marseille’s biomedical research. The impulse that provide such research infrastructures and networks as the Site Intégré de Recherches en Cancérologie (SIRIC) in the field of oncology and Marseille-Immunopole in the field of immunology will strongly benefit the projects sponsored by CBT-1409. In oncology specifically, the armamentarium to control neoplastic growth and recurrence by taking advantage of an improved host response nowadays integrate several categories of therapeutic tools, ranging from small molecules to cellular and gene therapies, with a common need for better selection and monitoring of patients through sophisticated and evolving biological assays and improved imaging techniques.